Pack of 4 Happy Birthday cards with individual envelopes. Inside card reads: Happy Birthday! Happy Birthday Cards - Pack of 4 is published by Teal Press and is our 390th best seller. 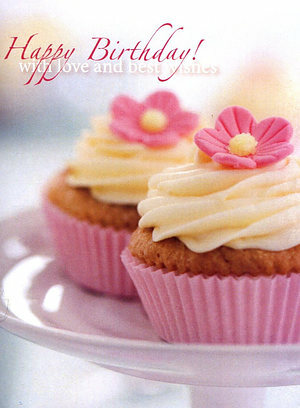 The ISBN for Happy Birthday Cards - Pack of 4 is ED90329A. These are nice quality little cards. Unfortunately I did not read the details so was not expecting them to be so small. Got a question? No problem! Just click here to ask us about Happy Birthday Cards - Pack of 4. What size are these cards? A:Each card measures approximately 11cm x 8cm.